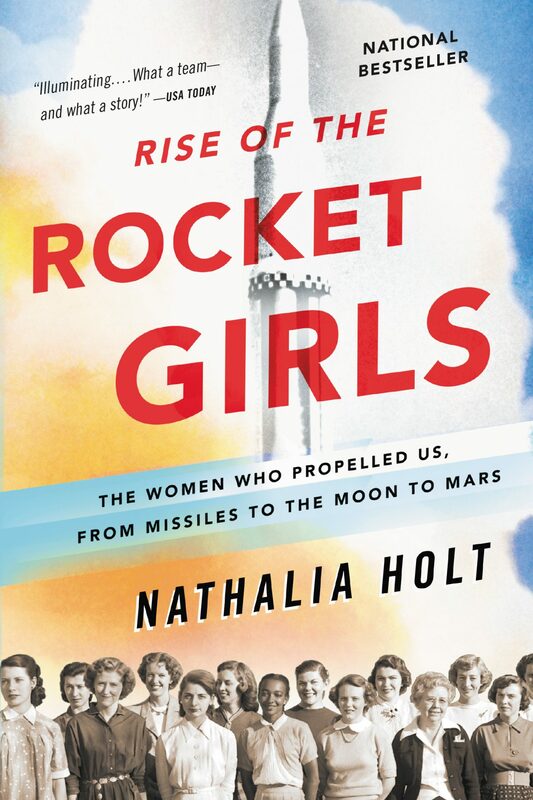 The book selection for Pasadena Public Library’s 2018 One City, One Story community reading celebration is the New York Times bestselling book Rise of the Rocket Girls: The Women Who Propelled Us, From Missiles to the Moon to Mars by author Nathalia Holt. Now in its 16th year, One City, One Story is designed to broaden and deepen an appreciation of reading and literature by recommending a compelling book that sparks a community conversation on important issues. Rise of the Rocket Girls is the riveting true story of the women who launched America into space. In the 1940s and 50s, when the newly minted Jet Propulsion Laboratory needed quick-thinking mathematicians to calculate velocities and plot trajectories, they didn’t turn to male graduates. Rather, they recruited an elite group of young women who, with only pencil, paper and mathematical prowess, transformed rocket design, helped bring about the first American satellites, and made the exploration of the solar system possible. Science and Time. She has trained at the Ragon Institute of MGH, MIT and Harvard University, the University of Southern California, and Tulane University. She lives with her husband and their two daughters in Boston, Mass. One City, One Story community programs will be held throughout March, beginning with a conversation with the author on Thursday evening, March 8, 2018. Event details will be announced in the near future.